Every photographer needs birthday-themed photo props in their studio's collection. This is a fantastic option because it can be used as a photography prop for so many different types of photo sessions. It would be such a darling choice for a Sweet Sixteen photo session or party booth session. A cake smash photography backdrop would always be a wonderful choice for any children's or bridal shower photo shoots. We can also see this being used for playful prop for magazine photo shoots where you need a great background, but don't want to do any set styling. You will be happy to know that although our products are quite affordable, the quality of the materials is incredibly high. 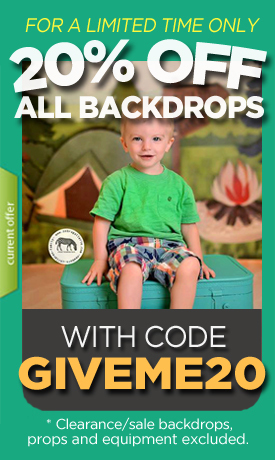 These are photography backdrops that will last through many photo sessions so that you can get a ton of use out of them. Depending on what you prefer, you can get this heart photography backdrop in vinyl, canvas or poly paper. Any of these choices would be great because they are all durable, tear resistant and water resistant.